BEVERLY NOA KENNEY Beverly Kauiokanahele Rivera Noa Kenney passed away after a three year battle with cancer on October 19, 2017. Born June 14, 1933, in Los Angeles, California to Benny Rivera and Victoria Miller, Beverly was raised in Honolulu where she graduated from Farrington High School. At the age of six, she was introduced to hula by Aunty Louise Beamer and later studied under the revered 'Iolani Luahine. At the age of 18, Bev was crowned Miss Hawaii 1952 and traveled throughout the continental US promoting Hawaii and sharing her hula magic. 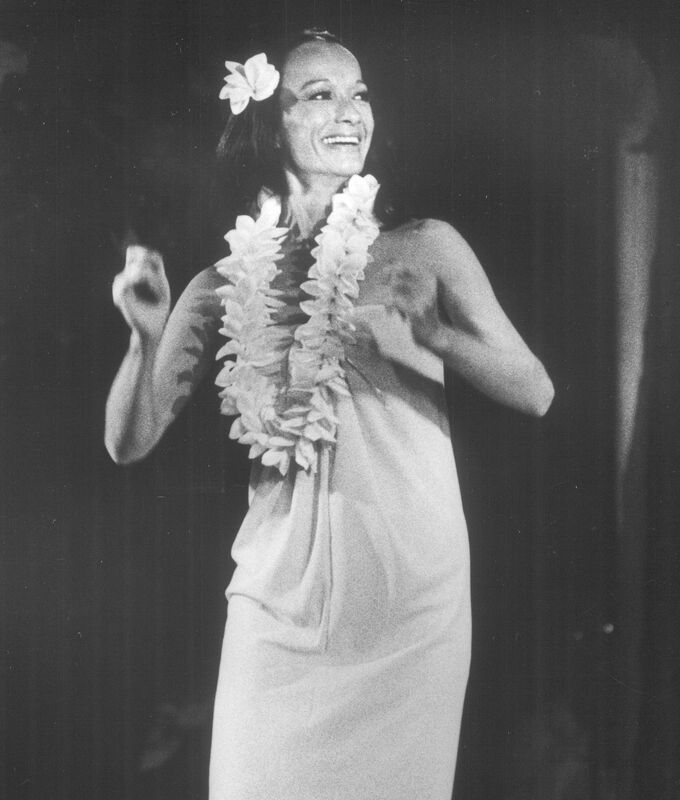 Her professional career started as a featured dancer at Don the Beachcomber's in Waikiki. Beverly has graced the stage in top showrooms in Hawaii including the Hilton Hawaiian Village's Tapa Room, The Royal Hawaiian Hotel, and the Halekulani where she shared the stage with Ed Kenney and some of Hawaii's most notable singers and dancers. She became a favorite model for Kamehameha Garment Company and Alfred Shaheen and became the Hawaii Visitor Bureau's "poster girl" which won her national recognition and acclaim. Beverly's love for fashion led her fashion career to be part of the first Calvin Klein and Chanel retail teams in Hawaii. With all her professional success, her greatest accomplishments in life are her two children and family. She married Fred Noa, Sr. and had her firstborn son, Fred Noa, Jr., a principal at Bluerock Partners. Later married singer Ed Kenney Jr., and together they had their son, chef and restaurateur, Ed Kenney. Beverly Noa Kenney is survived by sons Fred (Ginger) Noa and Edward (Spanky) Kenney and grandchildren Celia and Duke Kenney. A celebration of her remarkable life will be held on Saturday, November 25th at Waialae Country Club. Reception: 8:00 a.m.; Program: 9:00 a.m. Lei are welcome.